Because the Bible says Armageddon takes place at the end of the seven-year Tribulation (Revelation 16:16), and the Tribulation has yet to begin. So how do current events in Syria relate to Isaiah 17? Following the U.S. strike on the Syrian airfield Shayrat, Syria's allies issued a joint statement saying, "What America waged in an aggression on Syria is a crossing of red lines. From now on we will respond with force to any aggressor or any breach of red lines from whoever it is and America knows our ability to respond well". While this statement was clearly in response to a U.S. bombing, these nations made it clear they will respond to any nation they view as an aggressor. This includes Israel. While it hasn't been a major news story, Israel has also been bombing Syria. 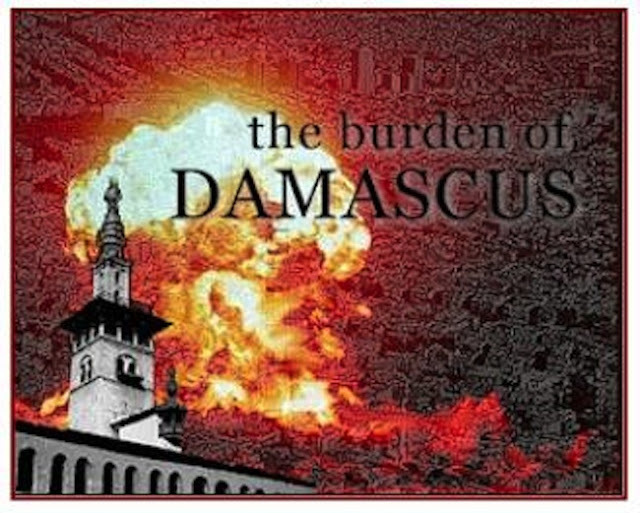 They're bombing Iranian-backed Hezbollah terrorists operating on the northern border of Israel. So how could Turkey be a part of this alliance? At first glance, it seems unlikely. But in the summer of 2016, Turkish President Recep Tayyip Erdogan jailed thousands of political opponents. And just today (Easter Sunday 2017), Turkey voted to eliminate its parliamentary form of government and give expanded powers to Erdogan. For the first time since Israel re-emerged on the world scene in May 1948, the main players of the Ezekiel 38-39 alliance are all working together. Even more important, they all have military personnel on Israel's northern border. The stage is set for the fulfillment of Ezekiel 38-39. The Great Apostasy spoken of by Paul happened in the first century. In the preterist view, "instead of expecting increasing apostasy as history progresses; instead, we should expect the increasing Christianization of the world." The Last Days "is a Biblical expression for the period between Christ's Advent and the destruction of Jerusalem in A.D. 70: the "last days" of Israel." The Antichrist "is a term used by John to describe the widespread apostasy of the Christian Church prior to the Fall of Jerusalem. In general, any apostate teacher or system can be called 'antichrist'; but the word does not refer to some 'future Fuhrer.'" The Rapture is "the 'catching up' of the living saints 'to meet the Lord in the air.' The Bible does not teach any separation between the Second Coming and the Rapture; they are simply different aspects of the Last Day." For example, The Thousand Years of Revelation 20:2-7 is a "large, rounded-off number. . . . the number ten contains the idea of a fullness of quantity; in other words, it stands for "many-ness". A thousand multiplies and intensifies this (10 X 10 X 10), in order to express great vastness. . . . represent a vast, undefined period of time . . . It may require a million years." "Ethnic Israel was excommunicated for its apostasy and will never again be God's Kingdom." Thus, "the Bible does not tell of any future plan for Israel as a special nation." The Church is now that new nation (Matt. 21:43) which is why Christ destroyed the Jewish state. "In destroying Israel, Christ transferred the blessings of the kingdom from Israel to a new people, the church." One of the basic tenets of preterism is that the Great Harlot of Revelation was "Jerusalem which had always been . . . falling into apostasy and persecuting the prophets . . . which had ceased to be the City of God." Finally -- and allow the implications of this to fully sink in -- "The False Prophet "of Revelation was the leadership of apostate Israel, who rejected Christ and worshipped the Beast." They argue that, if it was valid, it would have been accepted doctrine throughout Church history, instead of something 'invented by Margaret MacDonald and C. I. Schofield in the 1800s'. In fact, I remember the day in Grant's study in Toronto when he told me of his discoveries of several ancient manuscripts, sometime in early 1994. Grant keyed in on a passage written by Ephraem the Syrian, who died around 373 AD. Grant's discovery was authenticated by several other major authorities and it proves that pretribulationalism was NOT a recent invention of what the preterists call 'militant futurism' but was commonly accepted doctrine until the rise of Catholicism. At the risk of being inundated with emails from Catholics, it is an historical fact that the 'Dark Ages' of history were so-called because, during that time, Bibles were denied to the common man by papal decree. THAT is why historicism is the 'classical' interpretation. The Dark Ages lasted until the Protestant Reformation. But Protestantism sprang OUT of Catholicism. Preterists believe Israel is the antichrist, and that embracing Israel as God's Chosen People is spiritual adultery. That is why debates between preterists and pretribulationalists get so nasty. Our mission is to provide you with the evidences you need to answer challenges from skeptics and to provide you with the evidence you need to prove that these are the last days, that Bible prophecy is unfolding in this generation, and that the time is short. From time to time, it is necessary to review some basic information in order to bring everybody up to speed -- so for some of you, a lot of today's column has been review. My apologies. I'm betting my eternity on it. Some time ago I saw an individual's anti-pretrib comments on various social media platforms. He wasn't just part of the usual anti-pretrib police. This man was promoting his new book, claiming to expose the fallacious pretrib rapture. I finally bit and downloaded the Kindle edition. Whenever I read that john Darby taught two ways of salvation; or that he relied on Margaret MacDonald; or that Harold Camping was a pretribber (he was amillennial) - I know the author is biased and/or hasn't done the homework. Such was the case here. According to the book, one of the fallacies of pretribulationism is its appeal to Rev 3:10 as a rapture passage. The book's rebuttal draws from posttribulationist Robert Gundry's arguments. These include the meaning of the expression "tereo ek" as used in Rev 3:10 and John 17:15. Gundry argued for protection within the time of trial. Note: Richard Mayhue has responded HERE. See also Jeffery Townsend's The Rapture in Revelation 3:10 and Tony Garland's commentary. 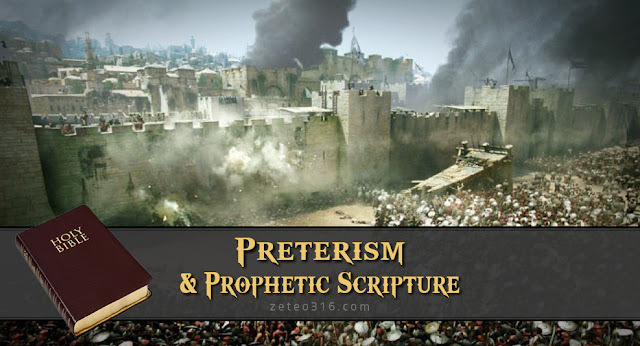 The book's prewrath author presented a similar conclusion to Marvin Rosenthal (The Pre-Wrath Rapture of the Church). 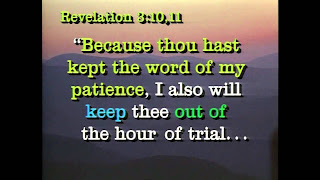 Rosenthal contended that Rev 3:10 wasn't a watershed verse which determined the timing of the rapture - instead, Rev 3:9-10 dealt with the keeping from the temptation within the Great Tribulation. Despite the claim of fallacy, at least two leaders of the prewrath system treat Rev 3:10 as a rapture passage. They (Charles Cooper & Alan Kurschner) agree that believers are raptured out of the world so as not to experience God's wrath, based on this promise. Verse 9) “Indeed I will make those of the synagogue of Satan, who say they are Jews and are not, but lie - indeed I will make them come and worship before your feet, and to know that I have loved you because you have kept my command to persevere. Notice that this revised punctuation removes the condition for being kept from the hour of trial. Pretribulationism doesn't need this particular argument. But if correct, it counters the notion that persevering through the Great Tribulation is a precondition for exemption from God's wrath. So the essential difference between Cooper's view and pretribulationism is a disagreement on what period constitutes God's eschatological wrath. For Cooper, God's wrath only occurs within a technically defined period, after "Antichrist's Great Tribulation." Most premil posttribulationists see God's wrath only occurring during the Day of the Lord, just before the millennium. While pretribulationist Richard Mayhue concurs that the Day of the Lord occurs at the end of the 70th week, he also acknowledges that God's wrath is present throughout the seven years. This explains the differences in Joel's and Paul's Day of the Lord statements regarding the Day of the Lord (Joel 2:31; 1 Thess 5:2-3). Can anyone be in a state of "peace and safety" after the 2nd and 4th seal judgments? God's wrath is present in the elements of the fourth seal. The language parallels Ezek 5:13-17; 7:3-19; 14:21. Why does John use Old Testament wrathful language in the 4th seal if such isn't the case? Or, as Robert Van Kampen asserted, for an event which exclusively affects the church and the Jews in order to purify them? This isn't the kind of tribulation we ordinarily experience in the world (Rev 1:9). This is God's wrath. God uses people and nations as instruments of His wrath. See Habakkuk chapters one and two as an example. There is no contradiction in God using Satan as His instrument of wrath. Neither does Satan's wrath in the 2nd half of the 70th week (Rev 12:12) cancel out God's wrath. Why would it? Furthermore, Satan and the Lawless One are used by God as judgment because of rebellion and refusal to love the truth. Paul clearly affirms this in 2 Thess 2:7, 9-12. Hence, the Seal Judgments and the Great Tribulation form the trial which will test the world. This isn't pretrib rapture wishful thinking. There are no hidden clauses in this promise. It doesn't say the church must suffer through Seal Judgments, or the Great Tribulation, before it is finally raptured. For own their reasons, dedicated critics of pretribulationism strive to enforce provisos and stipulations to the promise of exemption. Perhaps it gives some a sense of moral higher ground. As for me, I'll take Rev 3:10 at face-value. I want to live every day in anticipation of that shout (1 Thess 4:16-18). There is a central theme found throughout the Bible, and that is God's judgment. It is a single pinpoint of truth that God gives man a certain amount of time to come to repentance of his sinful nature and turn to Him, for when each of us die, we are judged according to whether we have turned to the only Way to receive forgiveness of our sins through Christ Jesus for the propitiation of what we all deserve, and that is death. This universe was born as a place of judgment, as the very creation of God was a matter of judgment, and nothing in this universe will escape the judgment of God. Mankind was God's greatest achievement in the construction of our world, when He made him on the sixth day of God's work to form the earth and the heavens that surround us. Even though man is the supreme creation of God, he too, will be judged at the end of time of this age. 3 “And God said, Let there be light: and there was light. Thoughout scripture, God used light and darkness as metaphors of good and evil. So it is fitting that He uses light and darkness as the beginning of His judgment. God, having judged light as to be “very good” God exercised a different kind of judgment to separate the light from darkness by creating the sun, the moon and the stars. If not, then our world would be nothing but shades of gray. Mankind likes to use these “shades of gray” to explain our moral compromises, our depravity and to color our own failures at morality. Men say that it isn't just “black and white, but the area is a 'gray area” But truth is either black or white, evil or good, there is no such thing as a gray area. It's like there is no such thing as cold, but the absence of heat. 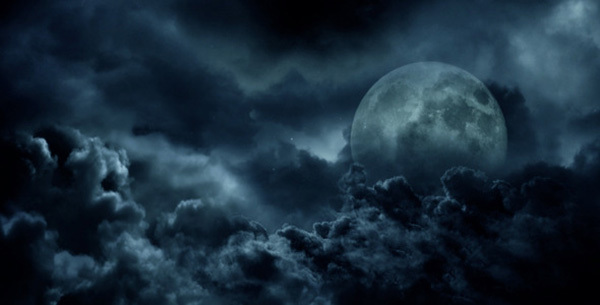 There is no such thing as darkness, but the absence of light. And there is no such thing as evil, but the absence of good. Without God, creation would fall into chaos. As men try to make up their own rules, apart from God's Word, there will come a time when our actions will be judged by the Father of Lights, who sees what is truth and what is a lie. He sees what is good and what is evil. We can't hide anything from God, and when the time appointed as the verse of the opening passage says “And it is appointed unto men once to die, but after this the judgment” each man and woman will be judged either in light, or in darkness. Note that each man and woman has an appointed time with something each of us fear, and that is death. All men will eventually die, and if the Lord tarries, you reading this will also die, just as I will. The time and the event are already pre-determined, and there is no way that any of us can escape it, should our human existence play out, this side of the rapture of the Church. Jesus used another metaphor, as the Bible is full of them, but the one I want to focus on now, is the term Jesus used of “Born Again” to describe our salvation process. When the time comes, we are transferred from this life, to the next life into the light of His glorious presence. We will be surrounded by light and it is not perceived as a pleasant experience by all. Why do I say that? Think of it like this. When we were conceived in our mother's womb, we grew to a full term baby in a secure environment. We were surrounded with everything we needed. Food from our mother through our umbilical cord and warmth of her body surrounding us. Our world is peace and tranquility, until our own comfortable existence is violently shaken. Our world collapses around us and we are expelled out of our comfort zone. We are grabbed with cold, hard steel forceps by our head and yanked out of our world and placed in a cold metal tray, and discover pain as somebody smacks us on our behind and we discover pain for the first time. The blinding light hurts our eyes, only slightly less than the silver nitrate they force into our eyes. We are in a moment of terror, as we were not prepared for what is to follow. Of course, this in the perspective of the infant we used to be, but having tasted life, the womb would become an unbearable prison if left in that environment. So being “born again” is a perfect metaphor of being transitioned from this life into the next life, that will be eternal. Each human on this earth, dreads the concept of leaving this life, and to some, not knowing what awaits on the other side of death, it should be doubly disturbing. We, who have accepted Jesus as our personal Savior, know that the life we will live in eternity is uncomparable to this life, as it was the life in the womb. But we all fear the end of our mortal life, because this existence is all we know. But we have faith and assurance, that even though we don't know how and what will be shown to us in that eternal state of heavenly bliss, our fleshly bodies of this life, still fights to live as long as it can. But a soon to “born again” believer in Jesus Christ should welcome the day, because we know it will be beyond anything our finite minds can comprehend. To the unbeliever, who does not know Christ Jesus, the idea of death must be terrifying, as they have only this life in their own deceived minds. Oh, I get the atheist who doesn't believe in heaven, hell, or even a God in heaven, but in the back of their mind, that void they have in their soul that only Jesus can fulfill is trying to find something to fill that void, and in the end, they are left hopelessly lost. So the transition of this life, to the eternal abode they will inhabit in eternity is a transition to nowhere, but to eternal torment. I read an article of a tombstone that was read in a cemetary that stated “Here lies an atheist. All dressed up with no place to go”...course, that is not exactly true, but if they got a glimpse of their destination, they would do everything in their power to avoid it and proclaim Jesus as their Savior. But their pride of mankind finds it hard to submit to a Higher Power. The scripture says that judgment comes to all men by appointment. Something they cannot escape. For a follower of Jesus Christ, judgment comes in two parts. Hebrews 9:27 says “AS it is appointed....” but the next verse completes the thought. “"And as it is appointed unto men ONCE to die, but after this the judgement, so Christ was ONCE offered to bear the sins of many; and unto them that look for Him shall He appear the second time without sin unto salvation." Hmmm.. “sin unto salvation” that doesn't sound like the Second Advent of Jesus Christ at the end of the Tribulation, as Jesus will come in judgment with a sharp two-edged sword that proceeds out of His mouth, encompassed by ten thousands of His saints, to judge the earth and destroy the antichrist, his army and all rebellion. Now does it? Logically, if you sit and mediatate on that portion of scripture, it can only refer to Jesus coming for His saints of the Church Age and removing them from this planet in what is commonly referred to as the HARPAZO translated from the Greek, as Rapture. That is the ONLY 'second coming unto salvation' alluded to by Scripture. The dead in Christ are raised from the dead, we are changed in the twinkling of an eye, from mortal to immortal and we all go to meet the Lord in the air. A lot of people get hung up on Grace VS. Works in many denominations....Catholic are very focused on works found in their traditions, and Jehovah Witness, Seventh Day Adventist, and Mormons to mention a few, are confused about Grace through Faith and cannot distinguish what is required for salvation. As I've pointed out many times, works are a by-product of our salvation. We do good for the Kingdom of God, because we Love Jesus, love our ABBA Father....and our works are a sign of our salvation, not the production of salvation. Don't be misled by those who preach a works based salvation, as there is NOTHING you and I can do to earn that gift, that grace, that mercy given freely by God because of our repentance and our faith in the finished work Jesus paid on the “old rugged cross”. Note one proceeds the other....mercy, faith through grace proceeds our good works, which God prepared in advance for us to do...Grace =works, not works= salvation. The latter is the cart before the horse, so to speak. 10 “According to the grace of God which is given unto me, as a wise masterbuilder, I have laid the foundation, and another buildeth thereon. But let every man take heed how he buildeth thereupon. This is the Bema Judgment Seat of Christ, so called because this is not a judgment of either being saved or damned, but a rewards ceremony of works done in the Name of Jesus Christ and for His Kingdom. Whether we are saved or not, is judged on this earth, as it takes place now. As we are being judged now. The Church will be found in His righteousness, because they have repented of their sins, embraced Jesus as Savior and Lord of their lives, and have fought everyday to live for Christ, even though imperfectly, they are being sanctified for this moment. Note those who work for the Lord God will receive rewards, but what of the man who is saved, but doesn't do anything to receive a reward? The verse says “but HE himself, shall be saved; yet so as by fire”....some translate it as “though through the fire”....the only thing that saved the man (or woman) is Christ Jesus who paid for their sins with His own blood...they received salvation by faith, but that's all they did...but in itself, it is enough for salvation, just being with Jesus is reward enough, but for those who have worked for Him, He will make rulers of nations in the Millennium. As a Christian believer that is being judged on earth now, you are securely saved as if you were already in heaven standing before our Savior. If you are lost, it is not the case that you WILL be lost. Because you are LOST NOW. The point is, it has nothing to do with being “good or bad”. It has to do with believing in one's own “righteousness and the ability to save yourself” (Which you can't) or trusting in the righteousness of Jesus Christ to clothe you with His righteousness and that not of your own. (for those who are scratching their head and wondering what this means, let me make it simple for you. If you are trusting in being good to get to heaven, you aren't going there) Work based religions, take note. That is what the “second coming unto salvation refers to” . . . the gathering of the saints to the Bema Seat for judgment. This is another reason why the Bible supports a pre-tribulation Rapture. The Bema Seat judgment MUST take place AFTER the Rapture. We cannot be judged for our lives when they end. The influence of a man's life lives on after him. How could the lives of the Apostle John, John the Baptist, or even Paul and the other apostles be adequately judged for their rewards in the first century, when their lives ended? The influence of their lives are still being calculated of how they affected the Church as a whole to receive just rewards. That is also why the Great White Throne Judgment is reserved until the final hours of time known to mankind, before the new heavens and new earth. THE GREAT WHITE THRONE JUDGEMENT & SECOND CHANCE? 12“And I saw the dead, small and great, stand before God; and the books were opened: and another book was opened, which is the book of life: and the dead were judged out of those things which were written in the books, according to their works. 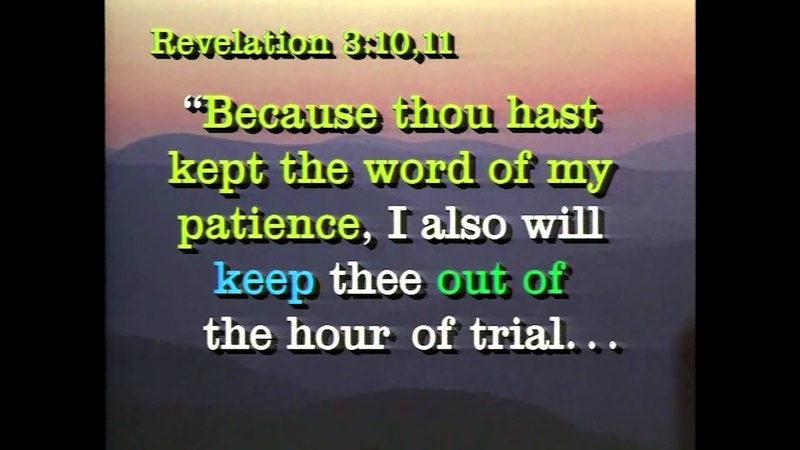 The belief goes something like this...those who are judged out of the books at the Great White Throne are given time to know Christ, to come to repentance, before sentencing is passed...that is what I call a “second chance” at salvation . Does the Bible support such a belief? No, I find nowhere the lost who reject Jesus Christ, and even those who have never heard His Name, being given a “second chance”...Now I'm not God and God is sovereign, but according to His Word and the opening verses.... “men die ONCE, then after this the judgment”. Reading the verses in Revelation gives me a picture of judgment and those whose name are NOT found in the Book of Life are cast into the Lake of Fire along with the AntiChrist and the False Prophet who are already there. Satan will be cast along with his demons at their appointed time.... but from what I read, there is NO SECOND chance, as anyone in their right mind, would believe in Jesus as the Son of God, given the choice of a literal hell, or heaven...No, my friend, if you are looking for a second chance, you play Russian Roulette with your soul. Best to make a decision for Christ Jesus now, while the invitation is open. To me, that gives those who don't witness to others, that those who are saved are pre-determined to be saved or lost and there is nothing anybody can do about it.....That belief is on the same level as TULIP of Calvinism, which is not scriptural. Men are being judged in this life now...best to get on board of the ark of salvation, known as Jesus Christ . There are two distinct judgement of those who die, either in Christ Jesus at the Bema Seat of Christ, or those who die without payment for their sins to be found at the Great White Throne Judgment of God Almighty. Can you see the two judgements here? One is for the “quick” the other is for the “dead”. One takes place at His appearing and the other take at “His Kingdom”. The Quick are the saved. The dead are the lost. 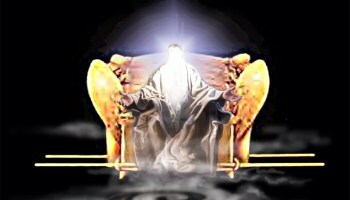 The Quick are judged at the Bema Seat, and the dead are judged at the Great White Throne Judgment. 5” But the rest of the dead lived not again until the thousand years were finished. This is the first resurrection. This is the end of the 1st Resurrection, as Jesus was the beginning of that resurrection, and those raised to life now are part of that resurrection....Those who are lost are left dead for a 1000 years, until final judgment which is the second resurrection of the damned.. Those raised to receive final judgment will be changed to immortal, but cast into the lake of Fire to be tormented for all eternity. I've mentioned there are numerous crowns of those who work for the Lord, but we will not list each and every one here, as I've covered that in past messages about those crowns for them that overcome this world, through Jesus Christ. Here's two points I want you to see, in closing this message out. As reading about the 24 elders, the second we remove the doctrine of the rapture from the narrative, it becomes too complicated and doesn't make any sense. The sequence falls apart and other scriptures don't support that narrative, but conflicts with them. Also, absent from Eternal Security in Christ Jesus, what does 1st Corinthians 3:15 that we just got through referencing above (“yet he himself shall be saved as through the fire”) mean? If you discount both doctrines, then the Bible gets way too complicated for a non-believer to figure out. Absent the pre-Trib Rapture, the judgment of the "quick at His appearing" (2nd Timothy 4:8) doesn't make much sense either. Which means you have to come up with a whole new timeline for events, or else make everything symbolic, and allegorize away the one that already exist...Which gives rise to the question “Then why give one?” Because the Scriptures most assurely do give a timeline of events. One final point, if Jesus comes back to raise those in the light of Jesus to life immortal and destroys all rebellion on earth, as there is no in between, then who goes into the Millennium as mortals at the end of the Tribulations? ?...as I've mentioned before, there is no one left to be mortal to repopulate the earth...I've said it before and I figured it was worth mentioning once again.. The focus of this message is on judgment, which separates light from darkness, separates the wheat from the tares, the saved from the lost, and the Church from the judgement that is due upon those who dwell upon the earth. If you read through the Bible, especially Revelation, there is a sequence of events that the rest of the Bible supports. First comes the “catching away of the Church” when Jesus steps out of eternity into our time and causes all who believe in Him, will be “born Again” into immortal bodies for all eternity. And Trumpets with His voice “come up hither”. Swiftly, we are taken to a great banquest, which is the Marriage supper of the Lamb and our joining with our Savior into the family of God. It is what the saints will be doing preceding and encompassing the Tribulation and the Great Tribulation. That is the type of judgment that began the bible in Genesis 1:4-- God creates the light, judges the light, separates the light from darkeness...or in this case, good from evil. ON the earth, the four horse of the apocalypse ride to begin the wrath of God whereas the men of earth cry for the rocks of the cliffs to hide them. WE are the light, clothed with the righteousness of our Lord and Savior, Jesus Christ, but on the earth, judgment has come upon the darkness and the sequence of events grow more and more destructive as you read. Everything you read is nothing but heartache, misery, and death in these chapters depicting this hour of God's fierce judgement where He pours out His wrath from the cup of His indignation in its full strength. Then we see the return of our Lord Jesus Christ in Chp. 19 of this prophetic book and the saints riding upon horses, clothes with linen, “white and clean”, as sign of the saints. Darkness is finally judged in this hour and the destruction is complete. All rebellion on this earth is extinguished. Men who survived the onslaught of the Anti-Christ and escaped, most like as Chp. 12 of the book reveals, to a place of safety to be nourished for 1260 days. ...as we have studied in the past, this woman is Israel, and those who believe the prophesies and escape, most likely as in 70AD to the Jordanian desert and the rock fortress of Petra. Then straight away, after judgment is passed on the darkness of this world, the 1000 year reign of Jesus Christ in the Millennium begins, and the world is made as it was in the time of the Garden of Eden...PERFECT. 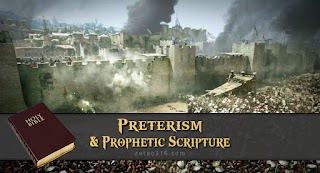 To be otherwise in the timeline, would require those who disbelieve to twist the scriptures into a pretzel to make their preconceived notions fit to some degree. If the timeline is any other translation or interpretation, the true meaning of what Paul wrote in 1st Thessalonians 4:18 would have no meaning. “Wherefore comfort one another with these words”..because there would be no comfort and ..it would come from some other unfortunate mis-translation. Do not doubt, my friend, judgment is coming on this universe, this planet, and mankind that inhabits the nations. The whole point of this message is where will you be when judgment finally comes in wave after wave? Will you be standing before Christ Jesus for rewards, or standing before the Great White Throne to receive your death penalty? Will you still be in darkness, or in the light of God? Will you experience joy and happiness that no one can express till it happens, or will you be in anguish, and in torment where the fire is never quenched and the worm dieth not? My plea to those who read this message ...LOOK TO JESUS...the Author and Finisher of our faith....believe, and thou shalt be saved from darkness. Make that decision today for Jesus Christ and be numbered of those in the light, and not in the darkness....because “judgment is coming”. This is pastor Mike Taylor, praying for the salvation of your soul. If you have need for prayer, counseling, or just listening ear, email me at “realteam1999@sbcglobal.net” God bless you all..